These entrance door knobs offer a great solution for your doors. 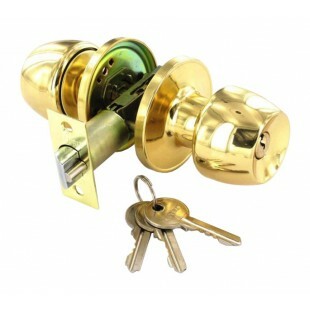 They feature a key operated lock on one side, for which three keys are supplied and a small thumb turn on the other side. 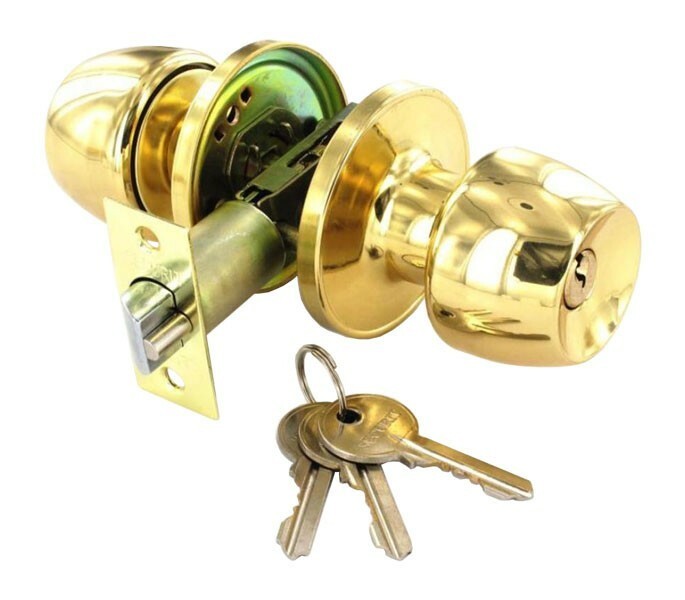 This entrance door knob lock set is presented in a stunning polished brass finish which will add a contemporary finishing touch to the doors around your home. An adjustable latch is included with these entrance door knobs which offers a backset measurement of between 60mm and 70mm. Bolt through fixings are supplied to provide a secure fit to your doors. The rose diameter measures 65mm, whilst the knob diameter is 54mm and the overall projection is 62mm.